How to use Coconut Oil to Whiten Teeth Best Reasons Exposed. You’re strolling through the aisles of the store and right alongside the toothpaste, brushes, and floss is a mystifying range of products. Strips, trays, tubes of gel, pens and wands – every single one of them promising a Hollywood smile. Should you buy one of these products? I can’t really blame you for being tempted to. Advertising gets the best of us all sometimes. You might be confused as to what tooth whitening product to buy because you’ve bought into the hype before and didn’t get the results you expected. Even worse, you bought it and it made your teeth and gums sensitive and painful. But today we're going to explore a natural alternative, one that very well may finally whiten your teeth without compromising your gum health and your budget. I'm going to tell you how to whiten your teeth with coconut oil. And answer the most common questions I’ve received along the way. Can coconut oil whiten teeth? Coconut oil has emerged as an absolute must-have for just about every healing remedy and beauty ritual imaginable. 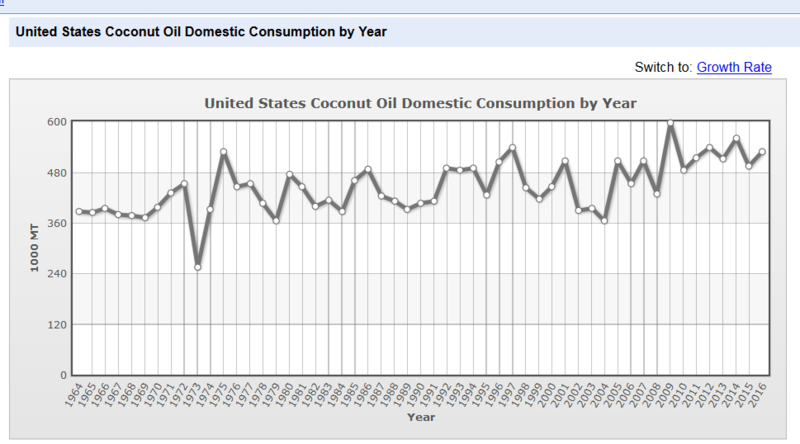 More than ﻿one billion pounds﻿ of coconut oil were purchased in the United States in 2015 alone. This is because it is generally safe and very multipurpose. As modern society has experimented with this abundant tropical resource, more and more uses for it have been discovered. Or, to be fair, rediscovered. ﻿Ayurvedic﻿ doctors have prescribed oil for an oral treatment for thousands of years. In areas around the world where coconuts grow, the oil is a sacred staple. When people today began using the oil and adopting this ancient practice for detoxification and healthier mouths. They noticed something else – whiter teeth. However, you shouldn't expect dramatic results akin to what you see in the media. Most models and actors don’t have teeth so naturally white. 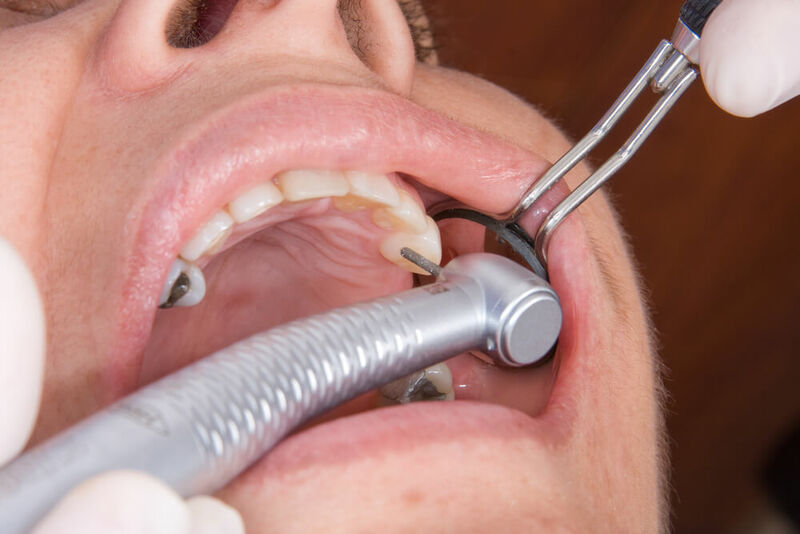 They go through enamel-damaging peroxide treatments with a dentist. Or, have their natural teeth filed down to accommodate porcelain veneers. 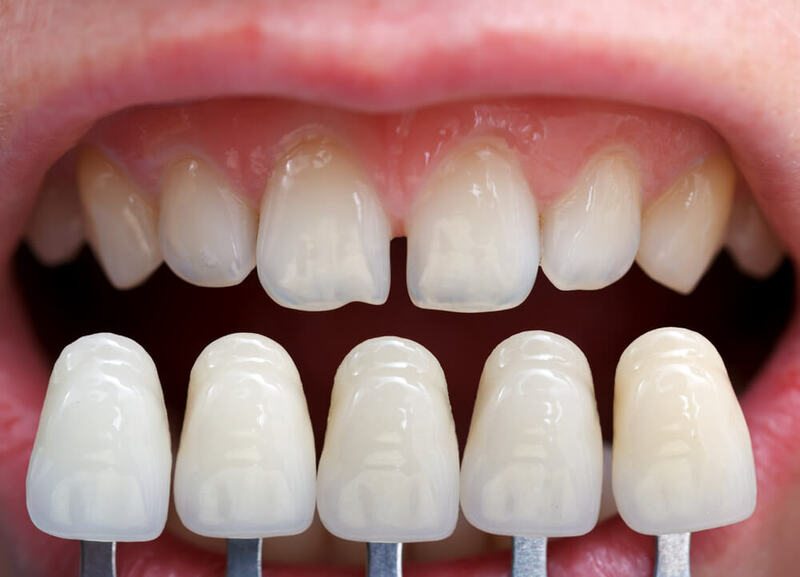 Veneers are usually (and naturally) snow white and straight, with uncommonly perfect tooth symmetry. As you can see in the image below. If you strive for a smile like that, more power to you. But, you won’t get it from coconut oil. Coconut oil is more likely to whiten your teeth a shade or two. It will improve the health of your whole mouth. And really, what’s more, attractive than radiant health? Let’s take a look... at the most popular method of whitening teeth, also known as oil pulling. Swish with a spoonful of coconut oil for between fifteen and twenty minutes. As you push and pull the oil between your teeth, it emulsifies and sweeps away bacteria in the finer contours. 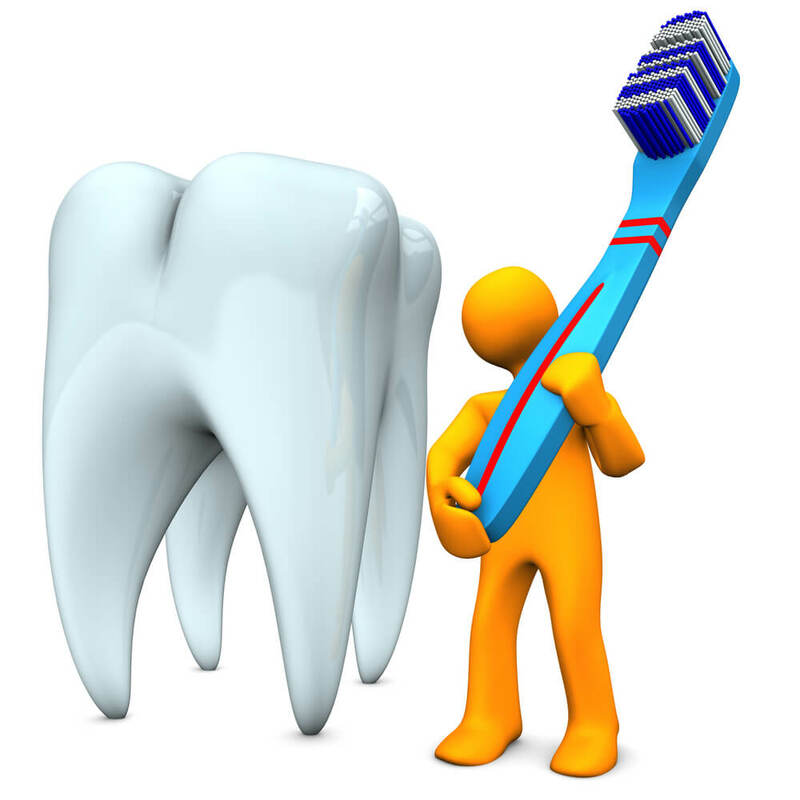 You’re effectively giving your mouth a much deeper clean as opposed to brushing alone. Dental hygiene tools may have trouble doing a thorough job of this. Here is a short video showing you how. Oil pulling has been proven as effective as mouthwash at killing bacteria – without drying alcohol. But we’re endeavoring to exceed the results you’d get from mouthwash, obviously. Consider the length of time we spend oil pulling. Mouthwash stays in for a minute at most because it’s full of chemicals that sting; coconut oil is very nourishing and we can swish it for far longer. In short, coconut oil is great for teeth whitening because enjoying whiter teeth is just one of the benefits of coconut oil for teeth cleaning. It gives you a fantastic clean that doesn’t dry your mouth out and imparts a certain “gleam” to the surface of teeth. Is coconut oil best for teeth whitening? It’s a matter of opinion, but I believe so. I’ll tell you more about what kind of coconut oil to look for in just a little bit. There are more varieties than you think! A lot of studies use sesame oil, which is a traditionally reliable option for oil pulling. But we use coconut oil because it’s nature’s finest source of ﻿lauric acid﻿, a medium-chain fatty acid with powerful antibacterial properties. Here is why ﻿lauric acid﻿ is important. In fact, nearly half of all quality coconut oil is made up of lauric acid. This therapeutic amount of “acid” will never burn you or irritate you, though; rather, it works harder than other oils at busting up colonies of bacteria that appear as stains on your teeth. Coconut oil also tastes much more pleasant than others, and in order to get great results, you need to use it quite regularly - which brings us nicely to the next question. How long does coconut oil to whiten teeth take? The answer depends entirely on the state of your teeth when you start, as well as your method of whitening and the regularity with which you use it. If you have stubborn stains, use coconut oil for oil pulling (or in a DIY toothpaste) every day. It may take a few weeks for noticeable results, but in the meantime, you'll notice how much smoother, cleaner, and stronger your entire mouth feels. However, you may be one of the lucky ones. Many people new to oil pulling see a much brighter smile within just a few days. You do need to keep the momentum going and continue use if you want to maintain whiteness. Unlike whitening strips that have a recommended daily-use limit of a few weeks or so, you can use coconut oil every single day. Can coconut oil whiten teeth ​when used as a toothpaste? I recommend that you learn how to make coconut oil teeth whitening toothpaste at home. Like many other great, non-toxic DIY recipes, coconut oil-based toothpaste allows for plenty of customization. I’ll tell you how to use only coconut oil and baking soda to whiten teeth. The baking soda will add a little abrasion, which will help the coconut oil break stains up much faster. This is still much safer than whitening toothpaste you buy at the store, which is generally ﻿much more abrasive﻿ and contain potentially harmful ingredients. Take five tablespoons of coconut oil and mix it well with two tablespoons of baking soda. I chose ﻿this one﻿ because it isn’t chemically processed. If you like it, that’s it! Just store in a jar and use it as you would any other whitening toothpaste. If you’re like me, you can experiment with a few other additives. If you need your toothpaste a little sweeter, try a little-powdered stevia or xylitol. Prefer your toothpaste minty fresh? Add a few drops of ﻿this peppermint oil﻿. Clove oil is a great pick for those prone to pain and sensitivity, and you can even add a pinch of natural Himalayan salt for pH balance. Is virgin coconut oil to whiten teeth good? It’s a really good sign that you’re asking these questions. 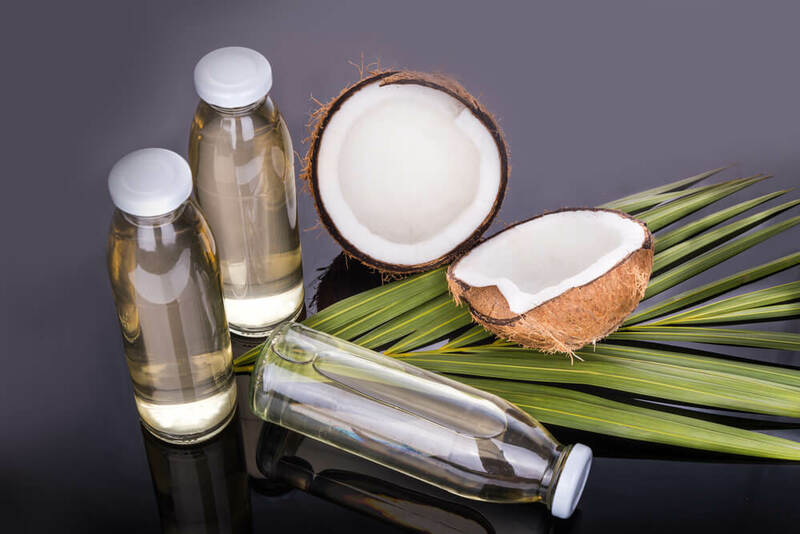 It means that you understand how even simple ingredients like coconut oil differ in production method and packaging. As a tooth whitener, a health food, and even for skin application, virgin coconut oil is preferred. 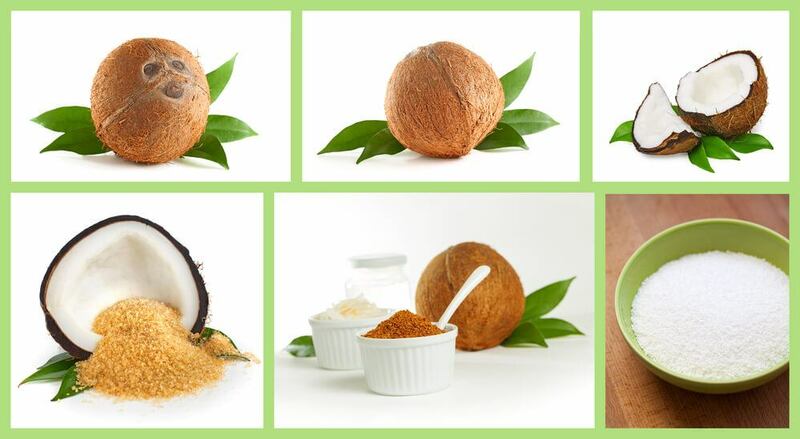 Regular coconut oil is made from dried coconut meat, called ﻿copra﻿. The copra has usually been heat treated, and may afterward be refined, bleached, and deodorized. Even worse for the purpose of whitening is fractionated coconut oil or MCT oil, which, unlike true virgin coconut oil, stays liquid in cold temperatures. The lauric acid has been removed from fractionated coconut oil and it, therefore, does not have any of the antibacterial benefits. Virgin coconut oil is extracted from the milk of fresh coconuts. Has a mild coconut flavor. Is super silky smooth and will become a white solid when stored below 76 degrees Fahrenheit. If virgin coconut oil is so wonderful, extra virgin coconut oil must be extra wonderful, right? There's no industry standard that delineates a difference between the two, and based on my experience, it's nearly impossible for a consumer to tell the difference. Is organic coconut oil for teeth whitening best? It’s always best to buy organic where possible. Not only is it safer for your health, it’s better for the health of the people who grow and harvest the things you buy, and the environment in which they live. You might pay a little bit more for organic products, but in the long-term, it’s well worth it. Jars simply labeled “coconut oil” aren’t useless, but it’s not the wholesome stuff we’re after. Refined coconut oil lacks some nutrients, as well as the flavor and scent characteristic of coconuts. If you’ve accidentally bought plain coconut oil made from copra, don’t use this for oil pulling or whitening toothpaste. But don’t waste it either. Save it for baking, where you can use it as a healthier saturated fat alternative to dairy butter. You could also use it as a deep conditioner for hair. You may have noticed “cold-pressed” on the jar of some coconut oils. This means that the oil was never treated with heat above 120 degrees Fahrenheit. By avoiding intense heat exposure, this coconut oil will retain all of the antioxidants and vitamins that give you a healthier smile. what’s important is that you don’t relax your standards to allow for anything that isn’t labeled “organic virgin”​. 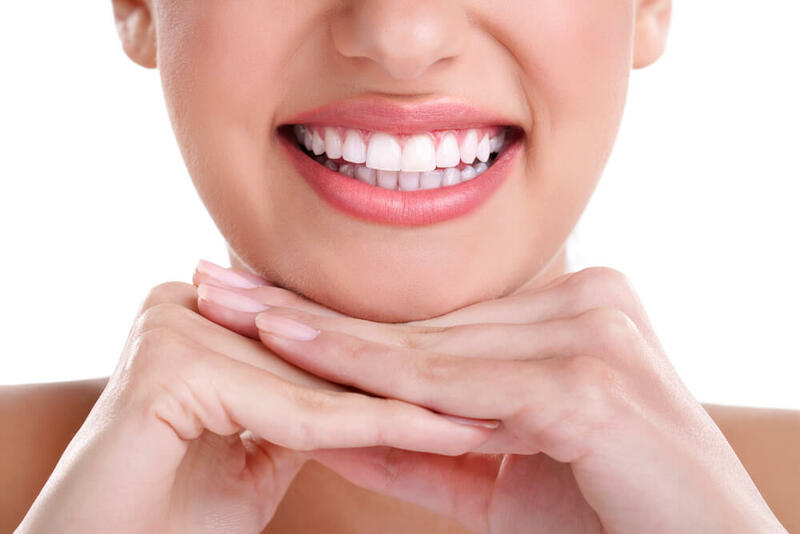 ​Anything less might hinder your efforts to get those dazzling coconut oil whiter teeth results. Which coconut oil is best for teeth whitening? Whether you’ll be oil pulling, making your own toothpaste, or both, you’ll get plenty of uses out of one jar of organic virgin coconut oil. The best quality brands are also non-GMO and - if you really want to go the extra mile in spectacular quality and production - certified fair trade. If you can’t break up with your store-bought toothpaste, but still want to learn how to use coconut oil teeth whitener at home, ﻿start oil pulling﻿. You can purchase this ﻿﻿beginners guide﻿﻿ if you’re interested but uncertain, or buy Dr. Fife’s more ﻿compr﻿e﻿hensive book﻿ about the topic. Do not spit coconut oil into the sink or toilet; when it re-solidifies, it can clog your pipes. Always discard your used oil in the trash bin. Keep the oil towards the front of your mouth. You aren’t trying to gargle with it, just slide it across and between your teeth. Do not swallow the oil. It contains bacteria from your mouth, as well as other toxins “pulled” from the lymphatic system. We want those out! Start out with a small amount of oil (a little less than a teaspoon) to get used to it. Work your way up to two or three teaspoons. Oil pull first thing in the morning, if you can. 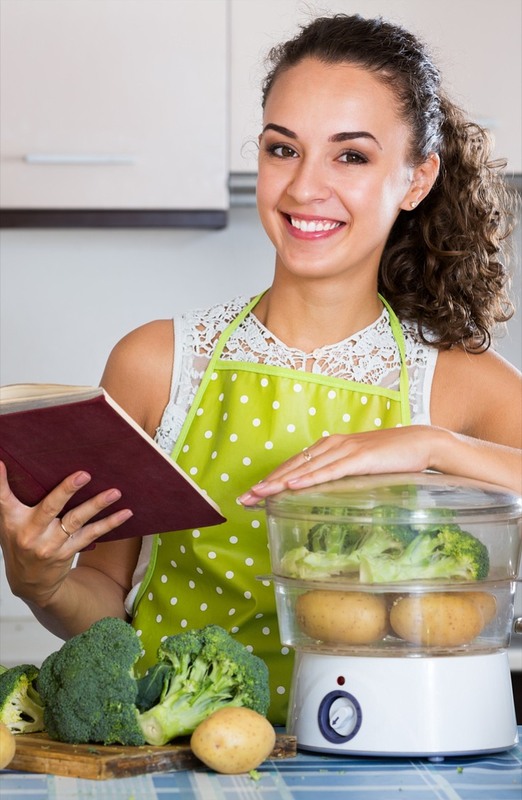 If you cannot, do so a few hours after eating, and a half hour after drinking anything other than water. Rinse your mouth very thoroughly after oil pulling, and follow up with flossing and brushing your teeth. If you have trouble keeping the oil in your mouth for the minimum of fifteen minutes, play two of your favorite songs in a row, and just enjoy the music (dance a little, if you need to). Before you know it, you’ll be able to oil pull for four songs! Watch the video above for more details. Oil pulling is a common detoxification method. Some people initially report a “detox reaction”, such as a headache or sudden loosening of sinus congestion. This should be temporary, but discontinue if it persists. If you forget to oil pull for a few days, don’t quit! It can take a while to get into the habit. What do you think of my coconut oil teeth whitening instructions? Overall, you get results that look natural and are easy to maintain, won’t cost you hundreds (or thousands) at the dentist’s office, and will give you a stronger, healthier smile. Do you have any all-natural alternatives for teeth whitening that you swear by? 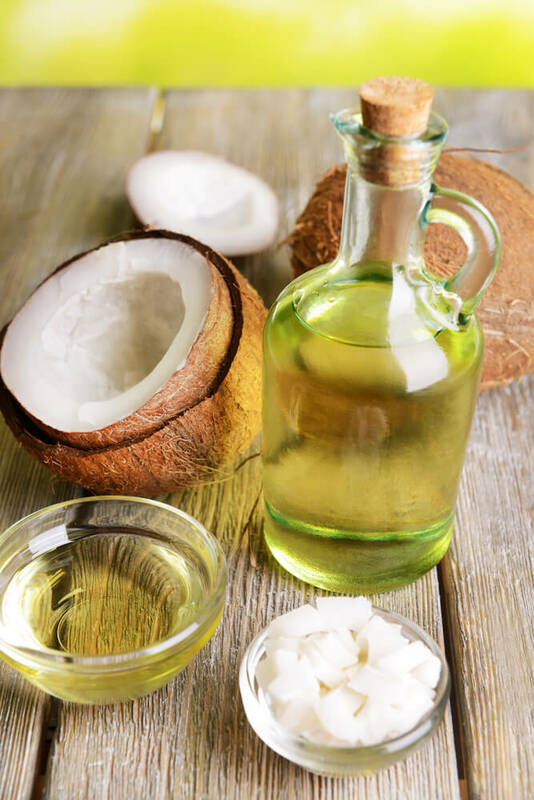 Have you ever tried coconut oil for oil pulling or in your own toothpaste recipe? Do you plan to try anything I’ve recommended today? I’d love to read your comments and see your before and after photos! Share your story below with us. Talk soon!